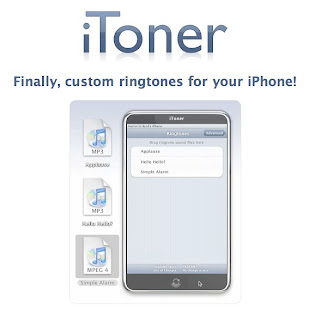 Ambrosia Software just released an iPhone ring tone transfer program that requires NO hacks and does not alter or "trick" the iPhone in any way. DO NOT BUY this program until after Apple finishes with it's special event next week (Sept 5 2007) ... where I think they will actually release this as a new iTunes feature. I've tried it out and it works great! I really like the Matrix Theme for a ring tone and I like a certain hip hop song for my best friend's ringtone. I'd move quick to download this if you have an iPhone because there's also the possibility that Apple will send Ambrosia Software a cease & desist.